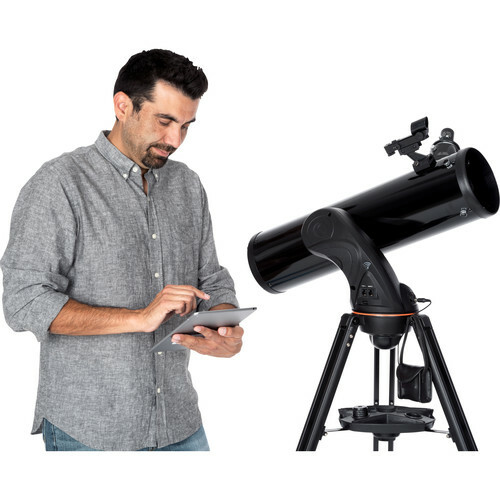 Celestron's Astro Fi 130mm f/5 Reflector Telescope utilizes an integrated antenna to emit a local Wi-Fi signal so you can control the mount via Android and iOS smartphones and tablets running their free SkyPortal app. 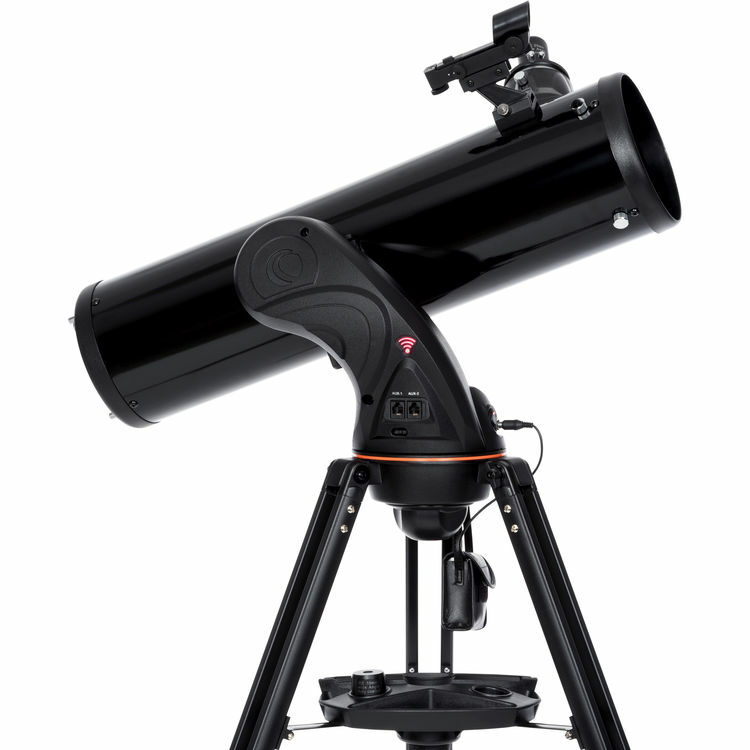 Optically, the scope sports a large 130mm aperture and a short 650mm focal length to produce a fast focal ratio that can resolve deep sky objects that smaller refractor-style scopes cannot. 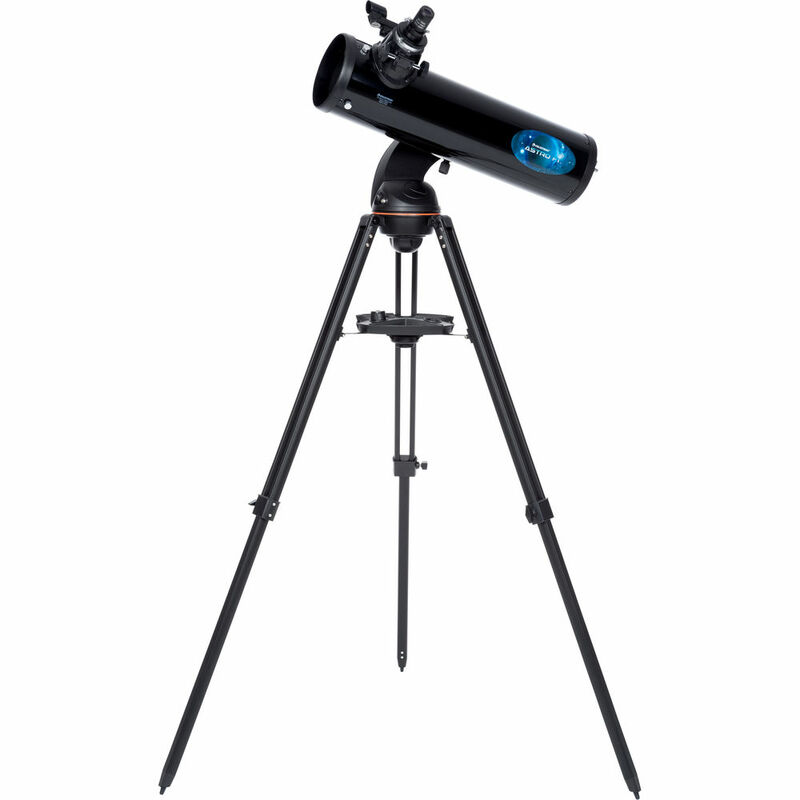 With highly-reflective aluminum and SiO2 (quartz) mirror coatings, light loss is limited so you can make detailed observations of the Moon, view planets and distant nebulae, and get great wide-field views of the sky for comet watching and asteroid hunting. 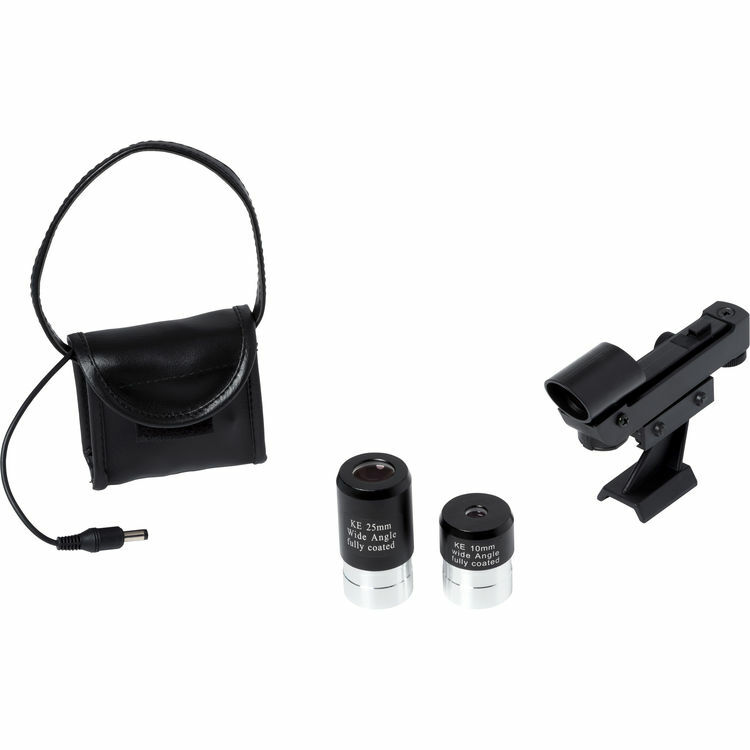 This complete observation rig includes the optical tube assembly, a motorized mount, an aluminum tripod, two eyepieces, a 90° diagonal, and a red-dot finder. 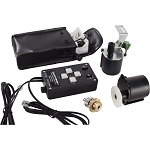 The OTA is mounted on a single-arm motorized alt-az mount. Guiding the mount is the SkyPortal app. 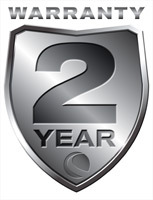 Packed with over 120,000 objects it is designed to help users set up quickly and start observing faster. 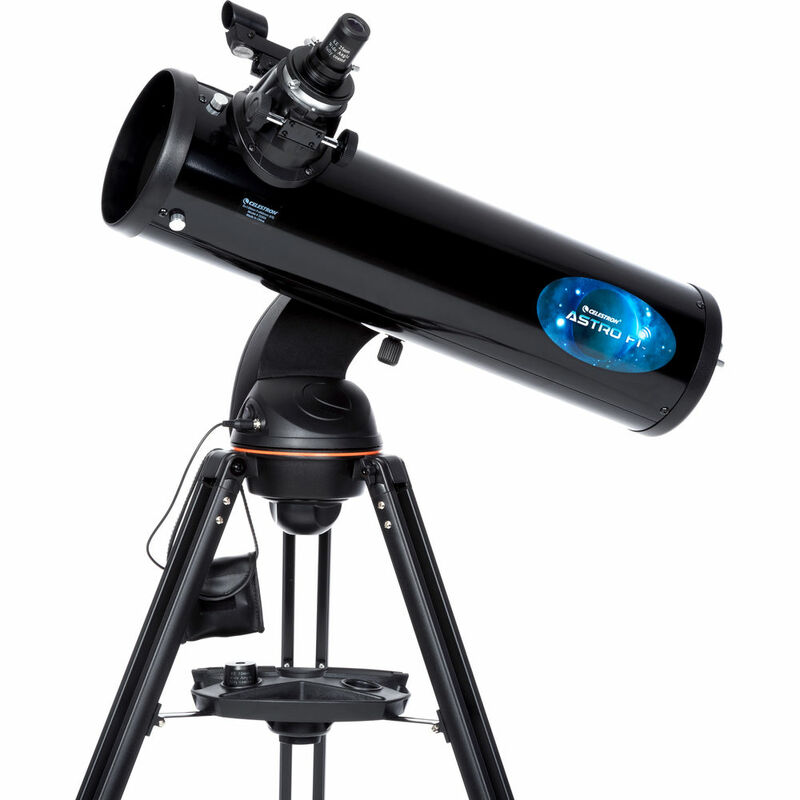 The app offers align aids, automatically finds objects in the night sky; and even offers guided tours, automatic tracking rates for near and deep-sky objects, and multiple slew speeds. 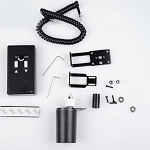 The mount runs on eight user-supplied AA batteries, and the entire rig assembles and breaks down without the need for tools so you set up faster and start observing sooner.